Now's your chance to be a food critic for a day! 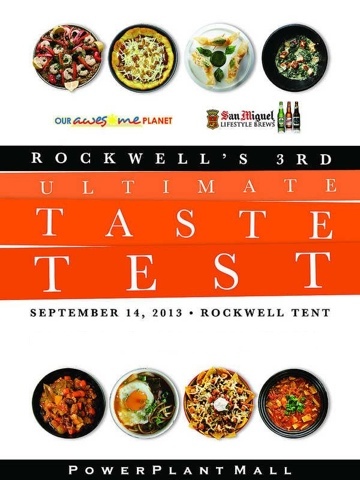 It's the Ultimate Taste Test once again on September 14, 2013 and tickets are now available at the Rockwell Tent Powerplant Mall! It will start at 11am and will close at 9pm. so do drop by if you can! Hope to see you all there! It's gonna be awesome! Reserve your tickets now! Food Critic Ballot for voting your favorite food discoveries.